Some people make you feel simply calm and re-assured that all will work out just fine. Sarah Salmon has that effect in abundance! She’s the owner of Brilliant Beings, and I couldn’t have been more excited when she hired me to take her photographs. We took images of her with her family, and she also asked for a brand image for her business. In her mindful way, Sarah just was being herself in front of the camera, not fighting it, not giving in to self-doubt or insecurities. If only I could bottle this up for my clients! Actually, what she offers her (young) clients is exactly that: a practice to stay with ‘what is’ in the moment, without needing to resent, change or fight it. Enough from me, let’s hear from Sarah. Carola: Hello Sarah, you have many wonderful offers to create mindfulness in your young and older clients. What are they, and who are they for? My offerings at Brilliant Beings are largely designed for children’s wellbeing and I think that it’s wonderful that in the process of joining in, parents, carers and teachers are benefiting as much as the children! Mindful movements such as yoga to help children feel safe, grounded and calm in their bodies. Breath and sense awareness, which can help calm the nervous system and divert the attention away from worrying thoughts. Photography; giving children a positive use for the mobile devices they will inevitably be using at some point in their lives, to notice the curious and wonderful details in the world around them, bringing that precious sense of awe, wonderment and gratitude. This can also bring great inspiration for creative endeavours, which give the soul an essential means of self-expression. Peer-to-peer massage; another beautiful tool for calming, self awareness and building connection to, and empathy for, others. Reiki; a gentle, natural healing energy that can help us release old pains, fears and though patterns which are not serving our wellbeing. I also offer Reiki healing to adults with great effect. Carola: I love the variety of offerings that all help your young clients & network to live more mindfully. Sarah: I LOVE life in all its forms and want to help others find their love for life and for themselves also; I want to show people how engaging with the mindful practices I offer can help them feel that beautifully fulfilling connection to life that we all have underneath the fears, worries and negative stories of the mind. We are all truly beautiful and I see that in everyone; I want to help people see that in themselves and to realise their worth in the world because I believe we are ALL worthy and capable of living life to the fullest and living it joy-fully! Carola: That’s beautiful, Sarah! That speaks straight to my soul! What’s been one ‘failure’ that made you grow the most? How so? Sarah: Lol! Every time I work the children teach me something, which doesn’t always feel comfortable! I have learnt not to take children’s behaviour or apparent lack of interest personally, rather to recognise it as some form of unrest which time, patience and deeper understanding through paying close attention generally eases. Also that it’s ok, sometimes essential, to let go of ‘the plan’ when working with people, because you never know what they will bring on the day and if we are here to help then we need to respond to that rather than direct what we think should be happening. I have come to appreciate that the ‘hardest’ lessons are generally the most valuable! Carola: It sounds like your mindful ways are helping you with this too. Specifically, what is on routine, habit or activity that you find the most effective in staying mindful and connected to your inner wisdom? Sarah: For me, everything I mention in answer to your first question. I feel qualified to guide others in these activities not only because I have taken training courses in them, but also, and possibly most of all, because they form my personal practice. I would hope that it was evident to anyone who meets me that I embody the qualities I hope these activities will make evident in my clients. Carola: Definitely, I always look forward to your calm & re-affirming energy when we interact! Last but not least, you hired me to take your brand image. Where and how are you using your image and what does it mean for you? What does it mean for you to become visible as/with your brand? 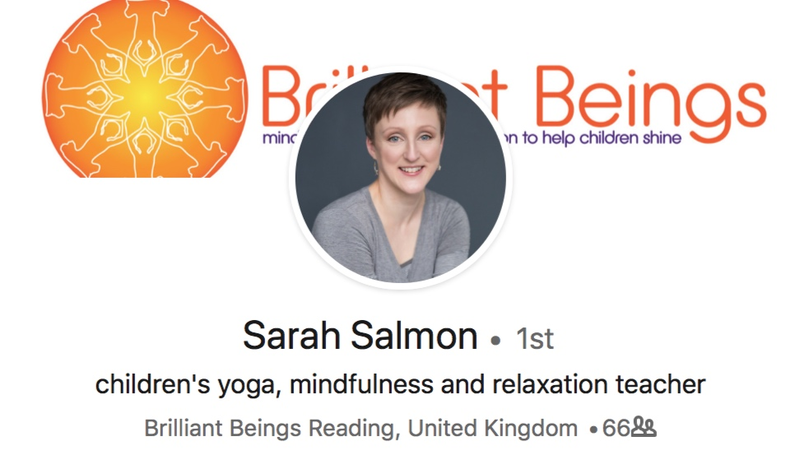 Sarah: I use my portrait to introduce myself on my website, Facebook page (@brilliantbeings) and also at my Redbubble photography shop where I sell my own mindful photography printed on a lovely range of products for people to enjoy. Personally I never engage with practitioners unless they have an image of themselves on their sites. An image carries so much information about us that is instantly subconsciously assessed by the viewer, leading to their feeling if this is the right practitioner for them. I have had clients who say they have contacted me because they connected with my image straight; it is subtly powerful stuff! What did you learn or take from Sarah’s answers? Comment below. Did you like what you saw & read? that have your dream clients fall in love with you and your brand.